The Command pattern encapsulates a request in an object, which enables you to store the command, pass the command to a method, and return the command like any other object. 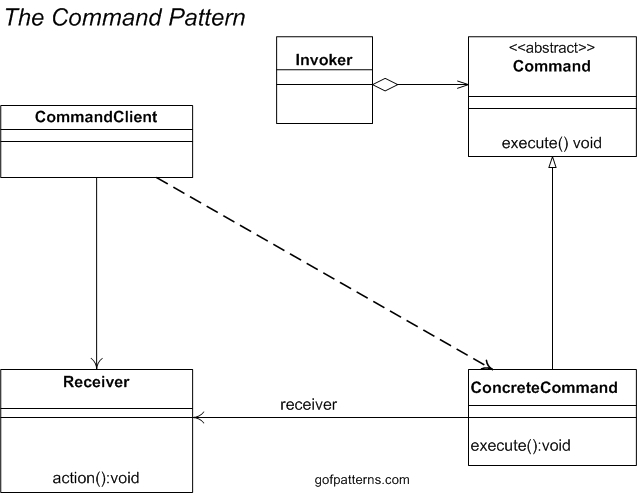 The figure below illustrates the Command Pattern. Invoker aggregates an abstract Command. Separates the object that invokes the operation from the one that knows how to perform it. You want to parameterize objects by an action to perform. You specify, queue, and execute requests at different times.